After last week’s bread, which fail to please the baker, I was eager to make this one, and the ice storm that hit us was the perfect excuse to indulge in bread baking. Peter Reinhart’s recipe requires a pate fermentee, made the day before. The dough is reasonably rich with butter, egg, and sugar. Wonderful to work with! I mixed everything together, allowed it to sit undisturbed for 20 minutes, then folded the dough a few times. One more cycle of folds after 60 minutes, another hour of rise, and the final shaping. Nice and easy. 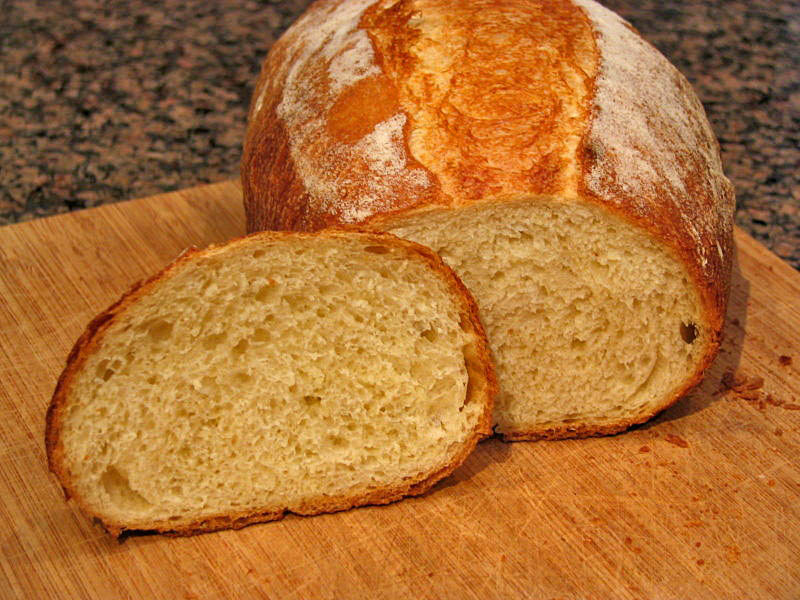 The shaped loaf was sprinkled with flour and slashed right before baking (click on the image to enlarge it). 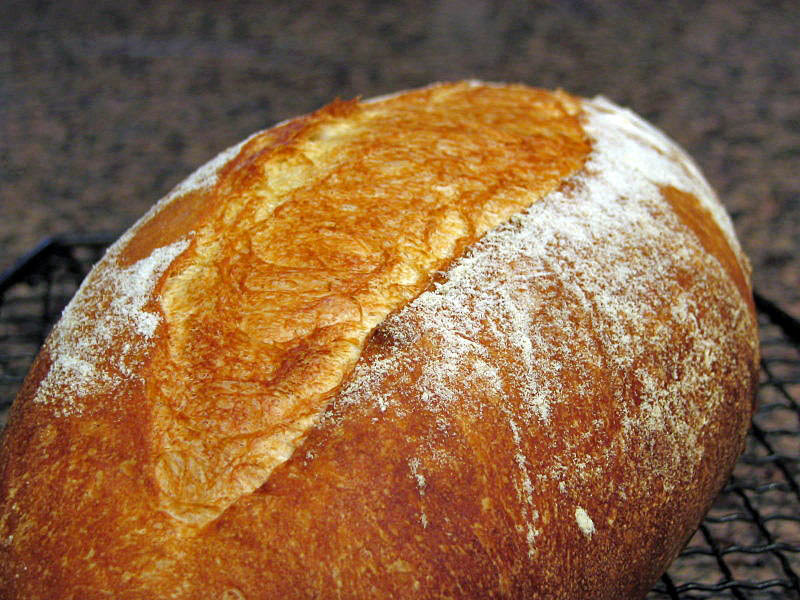 This was one of our favorites, and quite simple to make, no need for sourdough starters to enjoy a nice loaf of Vienna bread. 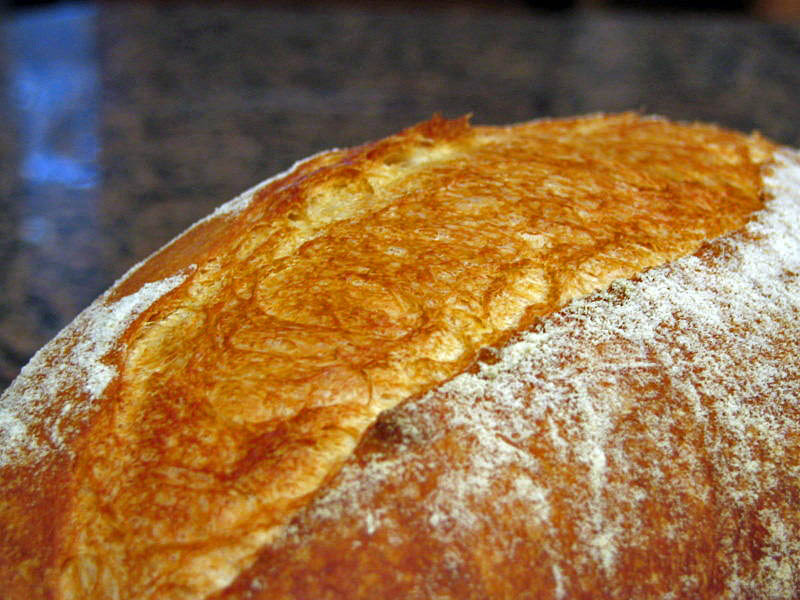 Only one small problem – bread should be allowed to sit for at least one hour before cutting. I could not obey this rule. After cooling for 15 minutes, my husband asked how long until he could have a slice. “About two hours” was my answer. His?